Rio de Janeiro offers a lot of sightseeing options for its visitors and we at RioHolidays will be more than happy to assist you in organizing your sightseeing activities. 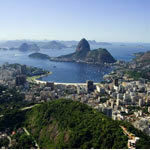 One of the options is to book for you a organized tour choosing from the following options of Tours in Rio de Janeiro. Helicopter sightseeing is a must-do attraction in Rio. 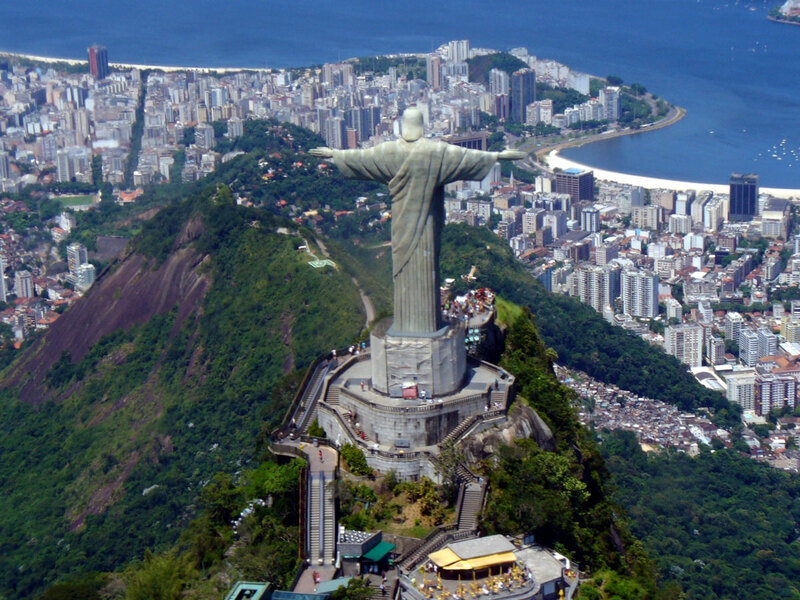 You will fly around the famous statue of the open-armed Jesus and above the Sugar Loaf, overlooking the beautiful beaches. Enjoy this marvelous panoramic view of the city of Rio de Janeiro. We can also find for you helicopter rides to other cities like Bizios, Angra, Petropolis or even night flights above the city lights, illuminated beaches, and mountains of Rio. We can make all arrangements, at the best price! When you book with us, you receive free pick-up service, direct from your apartment or hotel room, as part of this exciting aerial tour. We know that the City itself is exciting enough to completely captivate your imagination, but you should also take some time to explore the areas outside Rio. There are plenty of small islands, surrounded by clear, glistening water that you must see! We suggest you discover the tropical island beauty of Ihla Grande or Buzios - these are only a few of the possibilities in our program. 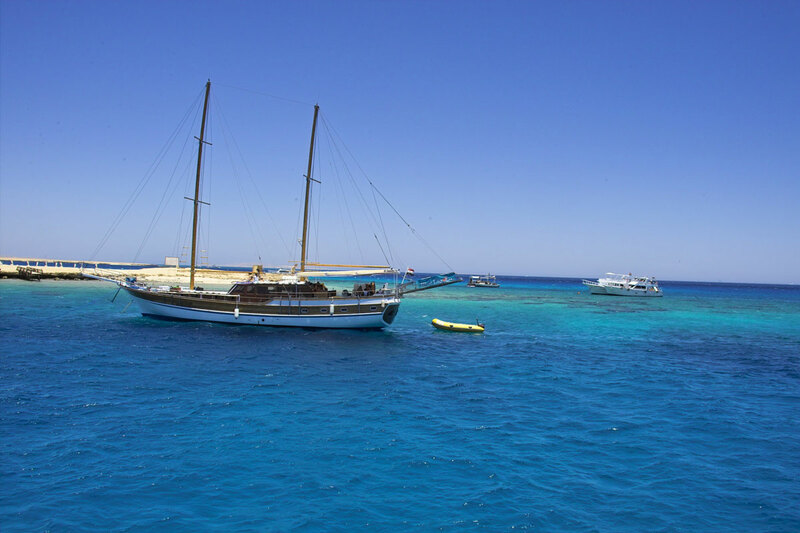 Personal or group excursion in a sailboat, speedboat, or yacht will take you anywhere you please. 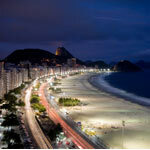 Charter tours are always available to tour the entire Brazilian coast. Please make your reservations a few days in advance, especially for personal tours. Book with us and get the free pick-up service, direct from your apartment or hotel room, for free! Soar over Rio! Above you are the skies, below the incredible beaches and the magnificent blue ocean! 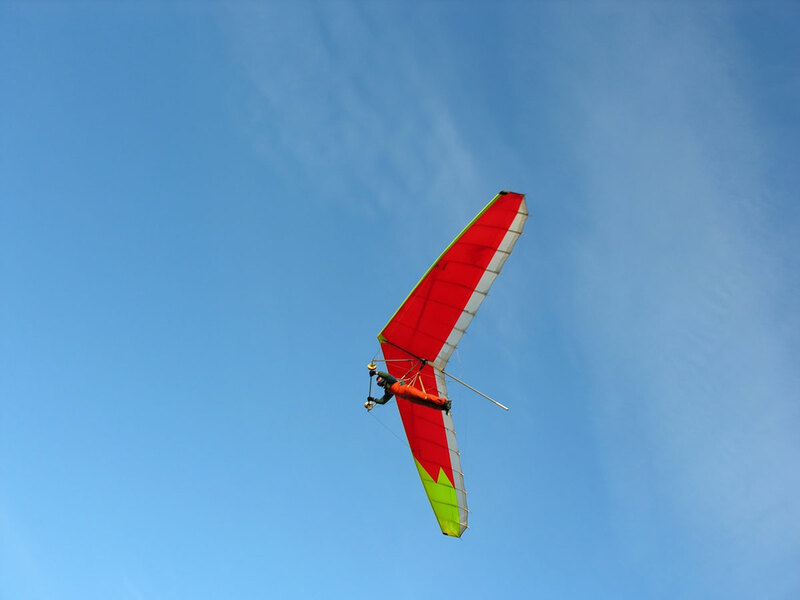 Experience the lightness of flying with us! Book a hang-gliding or parachuting tandem and you will be led by our professional trainers into the most incredible flying bliss! Depending on the weather and wind, flights are about 15 to 20 minutes. Starting at the "Pedra da Gávea," you will fly over the Rainforest of Tijuca and Barra Da Tijuca and will land on the beautiful beach of Sao Conardo. 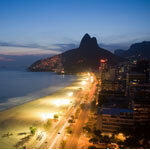 Enjoy the incredible panoramic view of Rio's ocean coast! This is a must-do while you visit. Book with us. 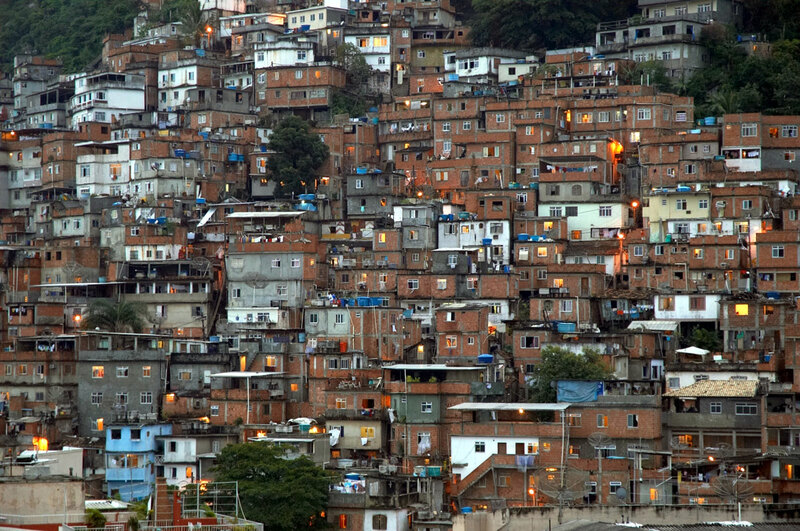 Rio de Janeiro is a city of contrasts and extremes. Overwhelming energy and glitz go hand in hand with poverty and desperation. 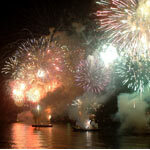 However, even those who live in the shady parts of the city have kept their joie de vivre and optimism, and that is what makes Rio unique. We offer you the opportunity to have a look beyond the shine of Sugar Loaf, Copacabana, and Ipanema in taking a guided tour through the famous Favelas. This is also an opportunity to have a close look on the work done by many volunteer-based organizations to improve the conditions of life in these poor neighborhoods. Most of the projects aim to provide conditions for a better future for the children who are the innocent victims of social inequalities. If you really want to have a full picture of Rio, this part of it is also worth seeing. We do not recommend you visit by yourself; please use our experienced guides. 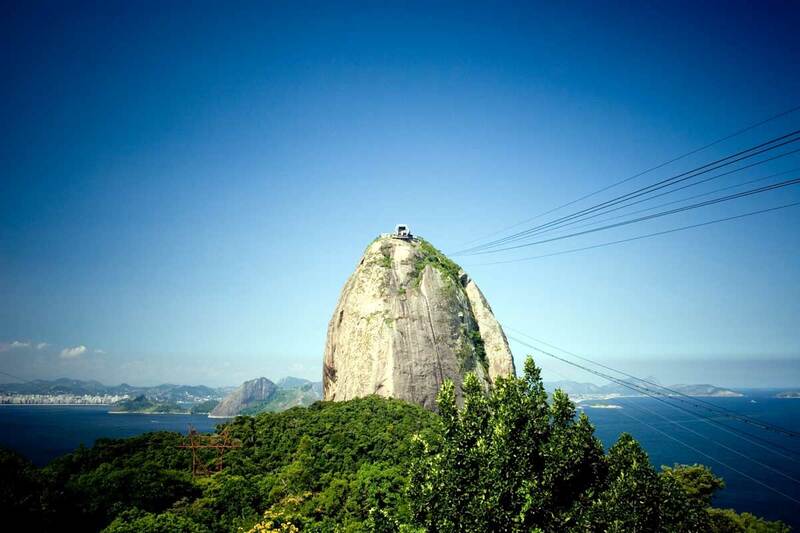 The Sugar Loaf is relatively close to Ipanema and Copacabana, and the best way to get there is by taxi. We suggest you plan your visit for the afternoon, to enjoy the sun and the incredibly romantic view far above the lights of Rio, the domestic aiport and Niteroi on the other side of the bay. You will find a big bar on the summit, where you can buy some drinks to quench your thirst while enjoying the view. It is open till 10 PM. Do not forget your camera!!! Not that close to Copacabana and Ipanema, and the route there goes through some of the rougher parts of town, but who does not know this famed landmark of Rio? Everybody has seen the beautiful panoramic views on TV! Well, it is your turn to experience it in person! Why not use one of our taxi drivers for the entire trip? He will take you there, wait for you, and bring you back to your apartment or hotel. You will have a driver you know, and will spend even less than the usual price. 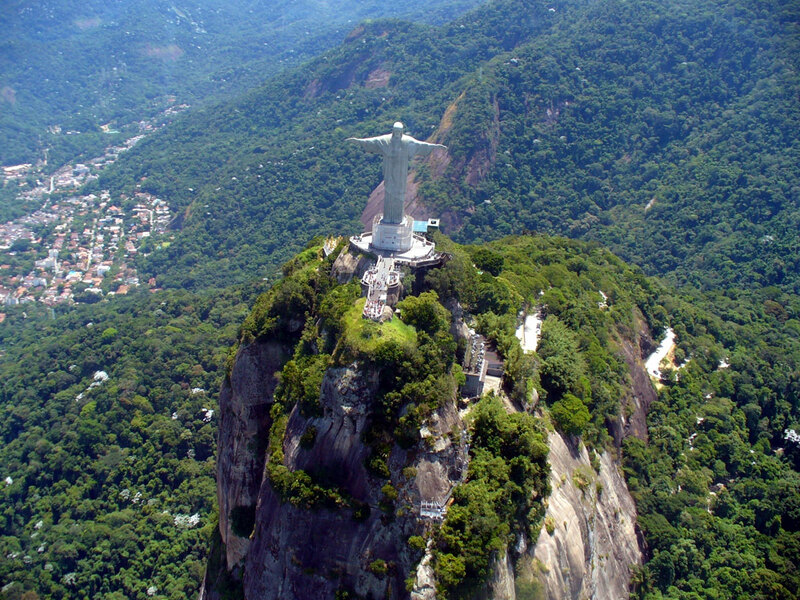 After the visit to the top, you may decide to take a walk in the famous Tijuca Park that spreads over 80 sq. miles. In its lush tropical forest, and between creeks and waterfalls, you will repose your eyes in a mind-boggling variety of exotic plants and animals. Do not forget your camera!!! Part of the amazing city of Rio is covered by the Tijuca rain forest. 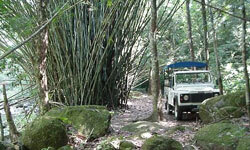 Discover its beauty by taking one of our tours. Renovated World War II jeeps (including classic 1942 Dodge Commanders) offer you a close-up view of the Atlantic Rain forest, where you will discover picturesque hideaways in the Tijuca National Park. Hiking, climbing, rappelling - you can do it all! Ilha Grande and Arrial do Cabo are islands where you can scuba-dive in a dream of a clear water that alows you to see the maritime life 50 yards deep. We offer daily as well as weekend tours to this mysterious underwater world south of Rio. The trip begins by car and then a boat takes you to the shores of Ihla Grande. The variety of species and colors underwater would rapture every diver’s heart. In your trip underwater you will be accompanied by an experienced diver who is familiar with the area. Even if you have never dived, our diving guides can offer you training for beginners. 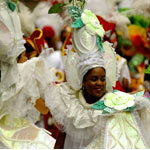 If you don’t have the right equipment, we can rent you any kind of costumes or accessories. 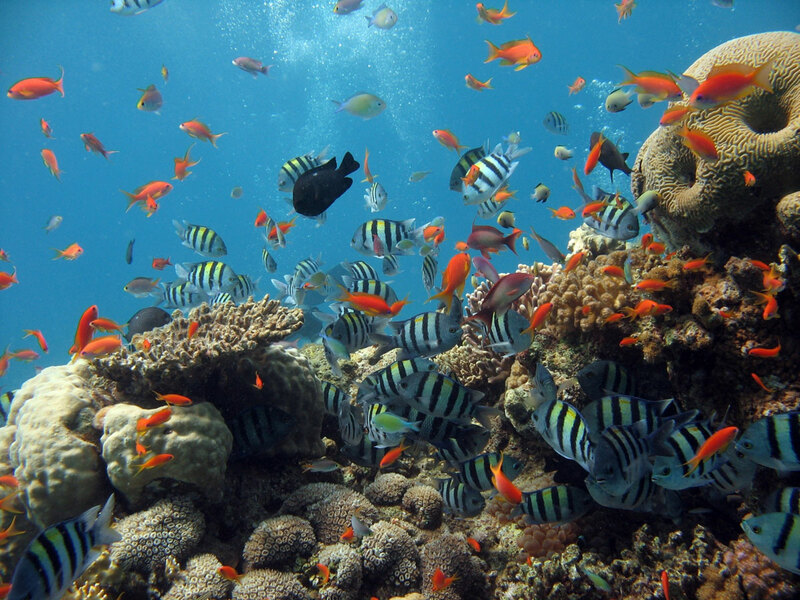 At any time you would like to have a look at the colorful underwater world, come to us.